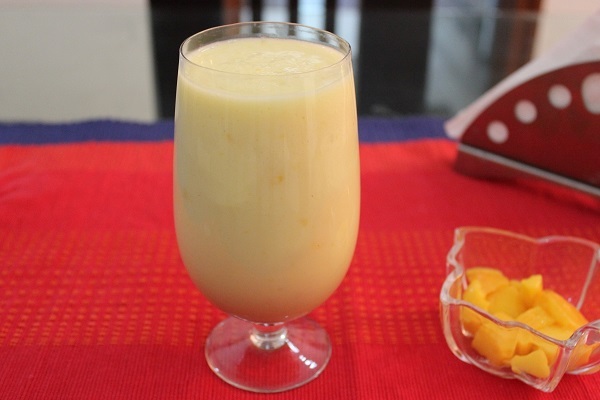 During summers mango shake is a perfect solution to feast your thirst and hunger as well. It is generally served at breakfast in almost every household of North India especially in Punjab. Available on street corners or juice stalls, this fantastic summer cooler is easy to make at home also and is liked by every one. This is an energetic and filling drink as it is made of mangoes, sugar and milk. Put milk, mango pieces and sugar solution in a blender. Blend for half a minute or some more time until an even shake without any lumps or pieces of mango is attained. Add crushed ice and blend it once again for few seconds. Pour in long glasses and put some whisked sweetened cream or scoop of ice cream on it if desired. It healthy and my fav!